Poisson Distribution is one of the most popular statistical systems used in making football betting predictions. Its main idea is to display the individual coefficient of strength of each team against an overall average level for all teams in a league and thus predicting the chances of each team for winning a match. 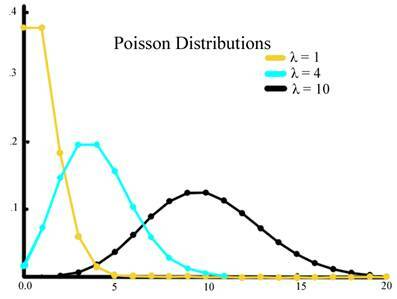 How to work with Poisson Distribution? To give relatively accurate results, it is mostly needed to set a common value, which is equal to all teams. When we talk about sports, this value is usually the points or goals scored by the teams. Most often for football matches Poisson Distribution has four such common valuesand these are the average number of goals scored by the hosts, the average number of goals allowed by the hosts, the average number of goals scored by the guests and the average number of goals allowed by the guests. When we have these four figures, what we need is to compare the individual results of both teams. How are they calculated? To do this we look at the ratio between the average number of goals scored by the host to the average number of goals scored by all hosts in the league. This yields a coefficient that indicates the strength of the hosts or more precisely the host’s chances to score in the match. Then do the same with the chances for the hosts to concede a goal, for the guests to score and to concede a goal too. When we have the needed four values it is time to use the formula for the Poisson Distribution. It is too complicated to discuss here, so I suggest using one of the dozens of online betting calculators that compute the Poisson Distribution. You can also find the function in Excel that performs the same operation. The advantage of using a betting calculator for Poisson Distribution is that they are made so to give a percentage chance for each possible outcome. When you have this information with you, it only remains to compare the odds offered by the betting houses with the percentage probabilities and bet where you find a value. Of course, if it was that easy everyone would do it. The tricky part in the Poisson Distribution is in the further fine-tuning that everyone has to do in order to have success. It is obtained by the method of trial and error, which should be well known to all who deal successfully with football betting predictions. Football is the most popular sport for betting, but it is also one of the most difficult to gain betting profit. The difficulties come from the three possible outcomes which every football match has and the very low scoring rate. That's why, when you want to gain profit from betting on football matches you need the help of professional tipsters. This is why we created this site which gives you the opportunity to meet professional tipsters and use their services for a small fee. You can get our professional betting predictions directly to your email and via video chat you can also get a response to your betting questions.